A politician's maiden speech in parliament is usually constructed with great thought and care. It serves as a platform on which they plan to stand for the rest of their term, the issues they intend to prosecute and the topics on which they prefer to engage. However can the same be said of their first tweets? 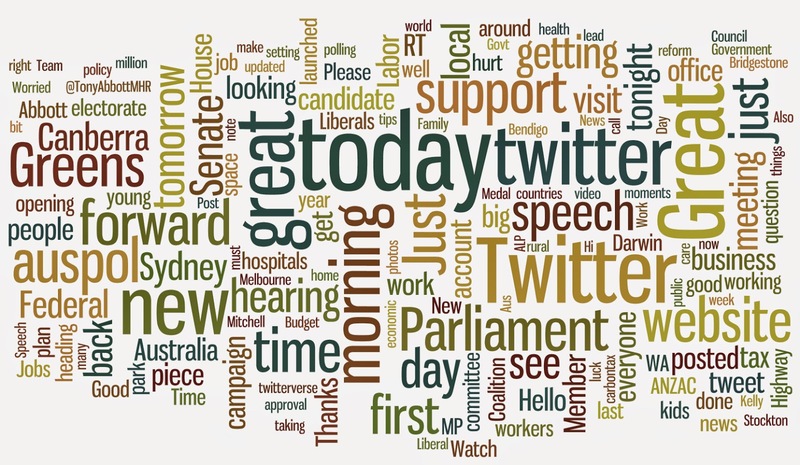 I've compiled all of the first tweets of our currently sitting federal politicians (the 79% with Twitter accounts) into both a timeline and a word cloud to provide a glimpse into how much thought they put into their first declaration on this highly public platform. You may judge for yourself whether the first tweets of politicians provides an insight into their character, interests and key concerns - noting that only one current federal politician created their Twitter account before entering politics.